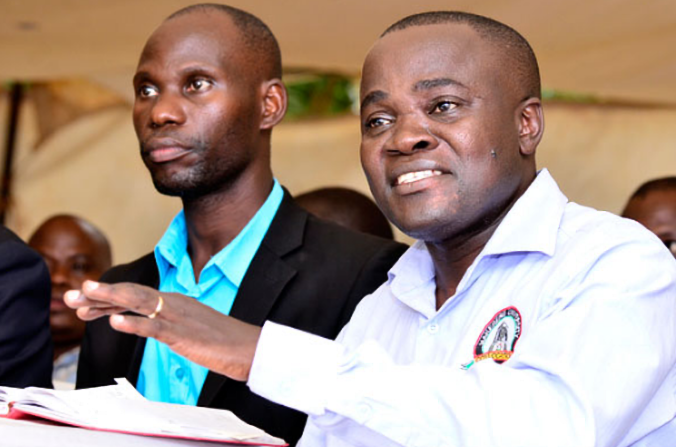 KAMPALA – Makerere University staff have insisted that they will not end their strike unless Prof Barnabas Nawangwe meets their demands of, among others, lifting their suspension of their leaders. “We cannot return to class when management has nothing to offer us regarding our demands. We appeal to them to hurriedly solve our grievances before we denounce our strike,” said Mr Bruce Twesigye, the chairperson of the National Union of Education Institutions. He was speaking at a press conference organised by all the staff associations at the university on Monday. 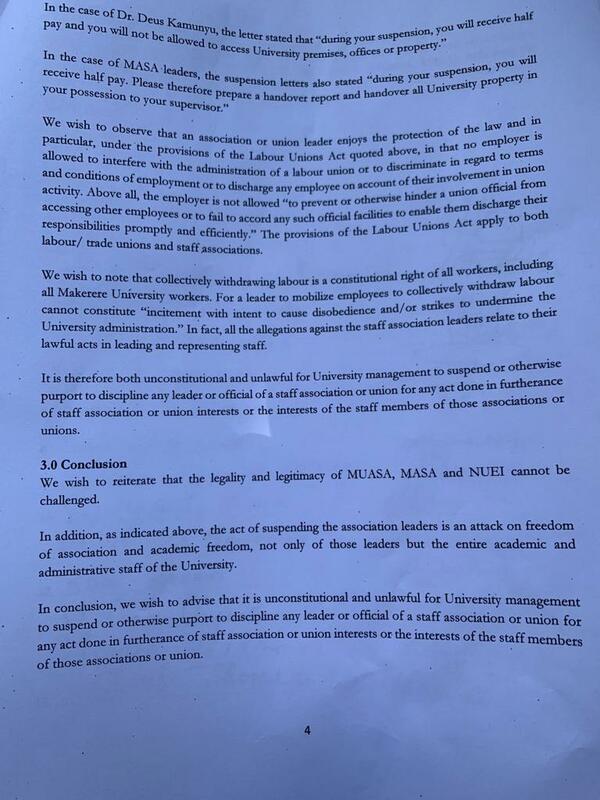 The staff are also demanding that the university remove Mr Thomas Tayebwa and Mr Bruce Kabaasa from the University Council, end attacks on the autonomy of staff associations and facilitate the staff tribunal to hear staff appeals expeditiously. 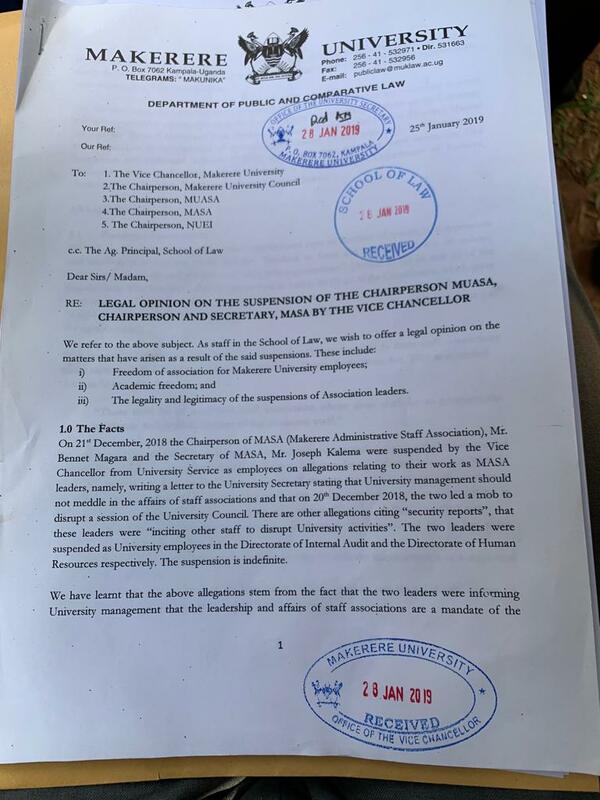 Meanwhile, lecturers from the School of Law have written to Prof Nawangwe, opposing the suspension of the three leaders of staff associations. 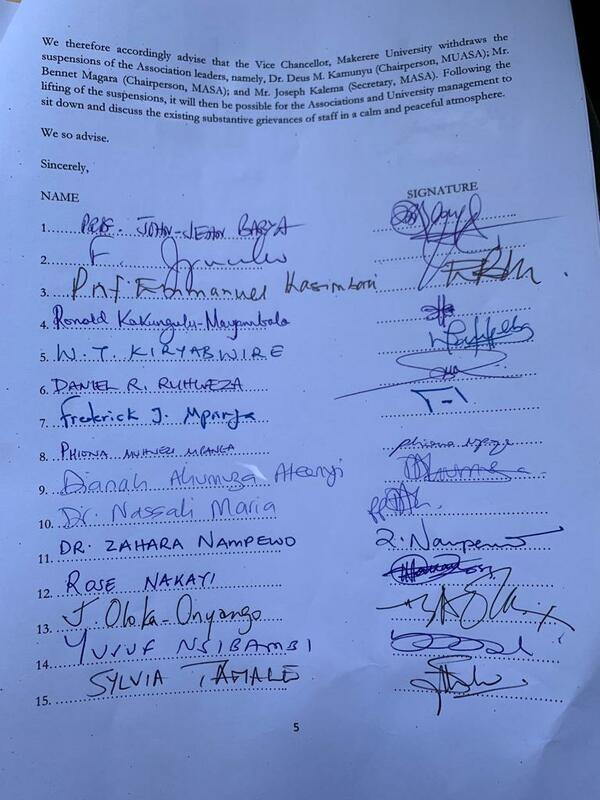 According to their opinion signed by 20 lecturers at the School of Law, Prof Nawangwe does not have powers to suspend the leaders of the staff associations who were trying to raise the grievances on behalf of their colleagues. 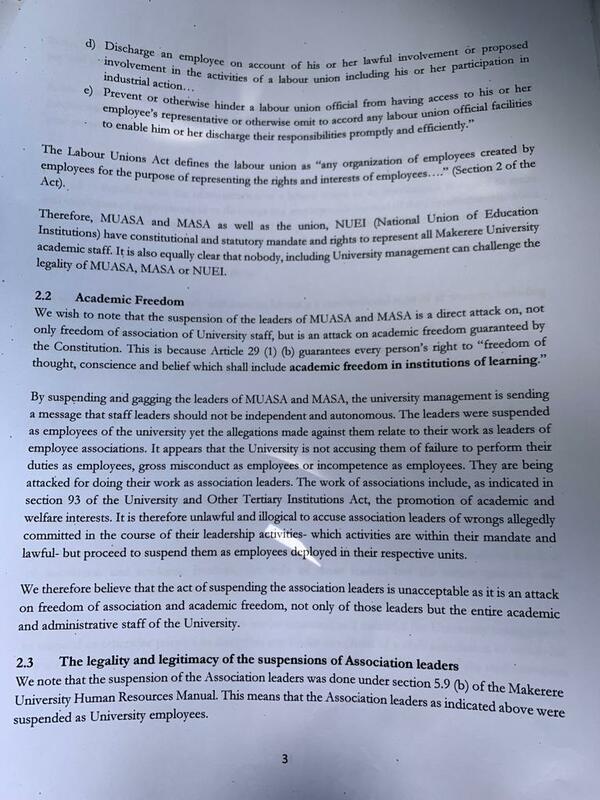 “We wish to advise that it is unconstitutional and unlawful for university management to suspend or otherwise purport to discipline any leader or official of a staff association or union for any act done in furtherance of staff association interest of the staff members,” the letter read in part. “We accordingly advise Prof Nawangwe and the university management to withdraw the suspension of the association leaders and we are optimistic that once this is done. It will be possible for the staff and management to sit down and discuss the existing impasse in a calm atmosphere,” the lecturers added.